SetupRouter and PortForward are working together to bring you this software package. The Router Detector is a part of Port Forward Network Utilities. The Router Detector is completely free to use. 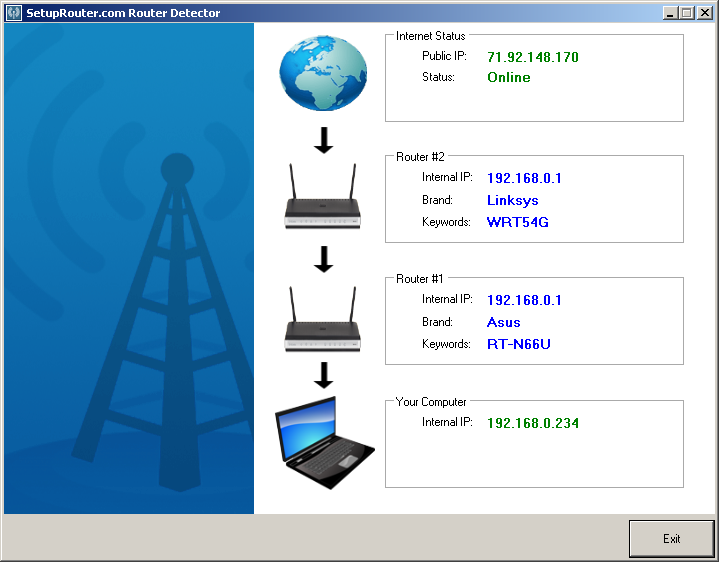 Download our free Router Detector, part of the Port Forward Network Utilities suite. Install Port Forward Network Utilities by double clicking the file you just downloaded. Run Port Forward Network Utilities and click the Trial button. Click the Router Detector button. It will look at your network and tell you if you have 1 or 2 routers, and try to figure out their brand for you. SetupRouter Router Detector looks at the "hops" required to get from your computer to the Internet. Each hop is an IP address. At each hop it attempts to communicate with a router. If it finds a router then it checks a keywords database to identify which kind of router it is. 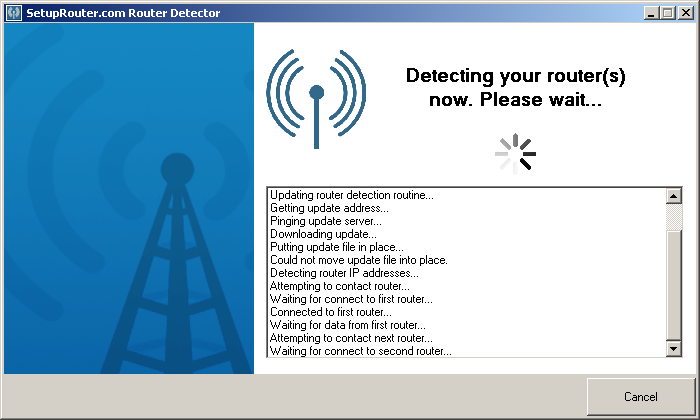 After downloading SetupRouter Router Detector, you run the installation file to install it on your computer. 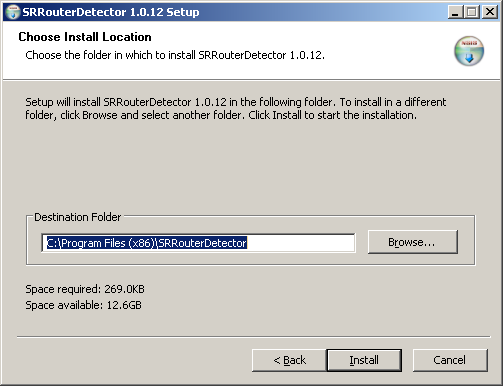 Then you run SetupRouter Router Detector (located in the Start menu under SetupRouter.com). It will scan your network for routers. This might take a few seconds depending on how fast your routers respond. SetupRouter Router Detector will detect up to 2 routers and display a best guess at their brands, as well as their INTERNAL IP addresses, your EXTERNAL IP address, and your computers INTERNAL IP address. In most cases SetupRouter Router Detector is able to correctly identify your routers brand. Please download our software only from the link provided above. SetupRouter.com is the only trusted source of our software. Follow these rules to help us ensure a safe and secure internet.